sign the petition HERE TODAY! Over 2000! 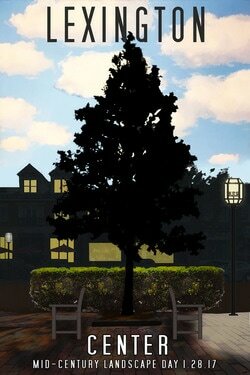 Announcing a Public Celebration of “Lexington Mid-Century Landscape Day”. 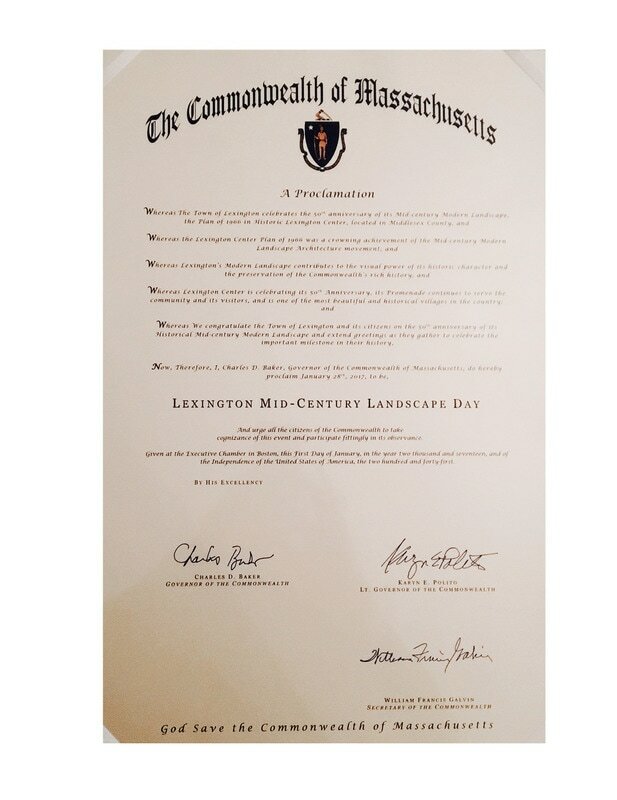 The Governor of Massachusetts has issued a Proclamation to the Town of Lexington recognizing the 50th Anniversary of Lexington Center’s Historic 1960’s Modern Landscape.This special day of recognition is a free community gathering to celebrate the rich history and crowning achievement that Hideo Sasaki and The Plan of 1966 created in the Design of Lexington Center. Join influential Landscape Architects,Historians and Authors to celebrate this important milestone in our history with live music, cake, and merriment! Upcoming Public Meetings - Urgent Attendance. Come Speak Out! Ad Hoc Presentation to the BOS on Monday, January 23, 2017. The Board will hear the report -NO public comment. SPECIAL BOS meeting on Monday, January 30, 2017 at 7 pm, Battin Hall. Deliberation on the Ad Hoc Committee's report. Public comment welcome. 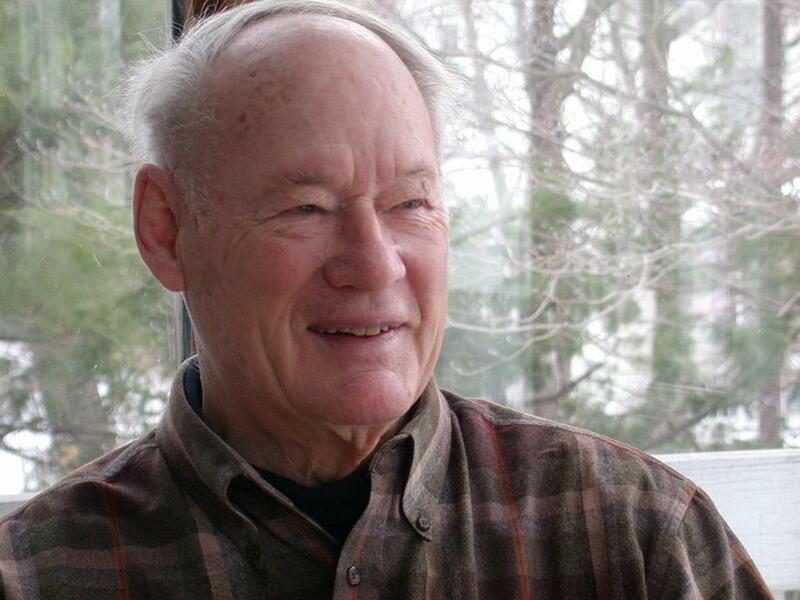 - Obituary at 50th Anniversary. Read Boston Globe Article. We are a green community that uses resources wisely and is always striving to improve on how we successfully deliver large community projects. The Board of Selectmen have in the past embraced innovative approaches to achieving these goals. 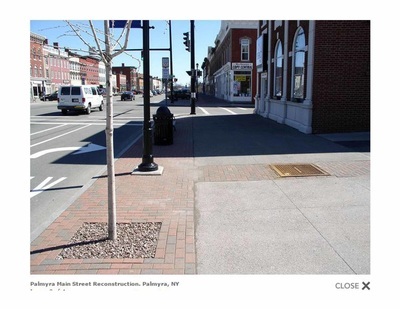 A careful analysis of the current Streetscape Design Documents reveal a project that is demolishing every tree, curb, and brick sidewalk in Lexington Center. 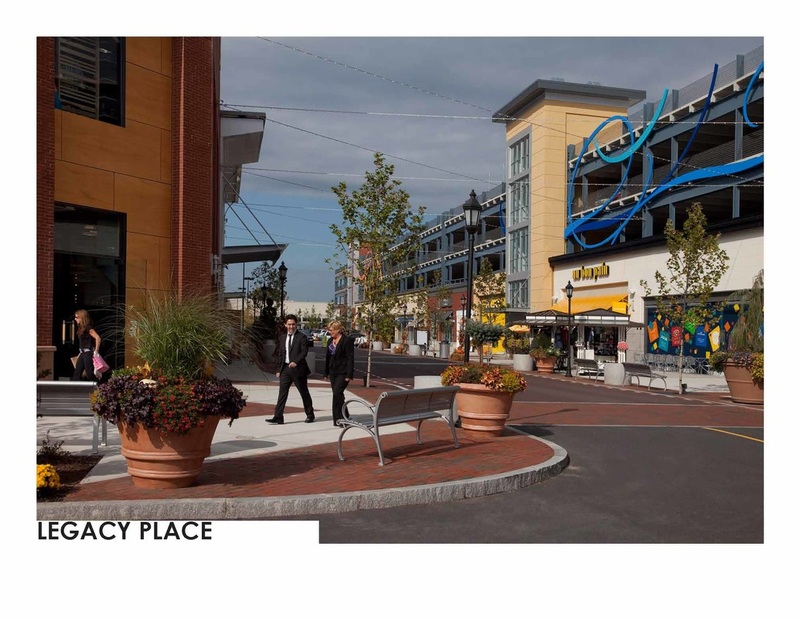 In reaction to this destructive design, and after reviewing various scientifically based studies in an 7 to 1 vote, the Ad Hoc Committee concluded that the center can be made safer and more accessible while preserving the rich, internationally recognized mid-century modern heritage that we enjoy today. We are striving for a vastly improved, cost effective project, one that is rooted in Preservation that has character, avoids the artificial, and is distinctively Lexington. 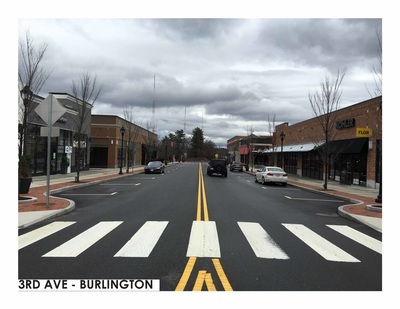 We support our business community and want to avoid a serious and wasteful streetscape overhaul that would change the nature of Lexington forever. 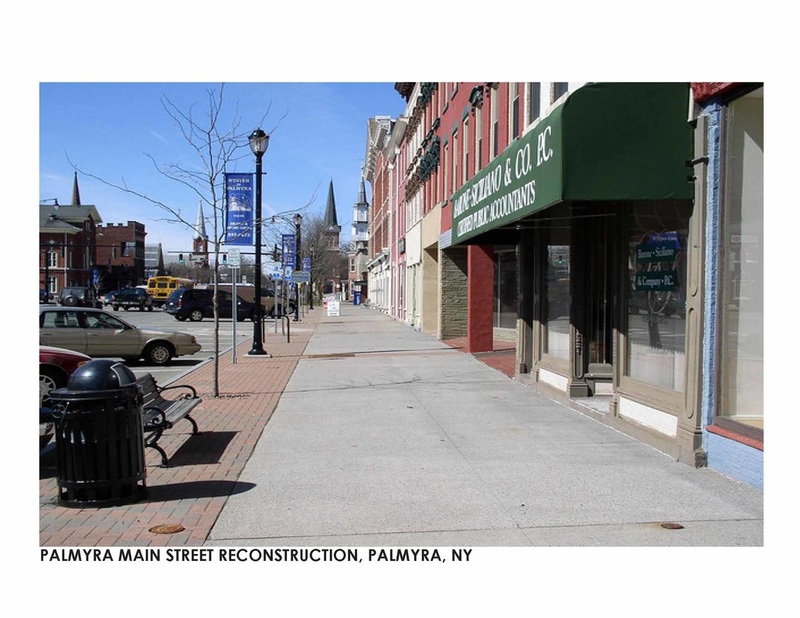 Please join a growing list of over 2,000 concerned citizens who believe in saving our Historic Center! 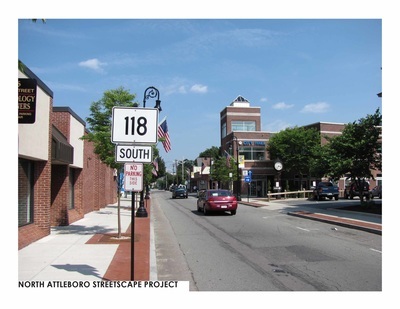 Contact your selectmen - tell them you support the Ad/Hoc Committee and their work to Preserve and Improve Lexington Center for common good of all Lexington Citizens (not a select few). Keep the process OPEN and Public! What do we choose to preserve? New England Village that it is today. 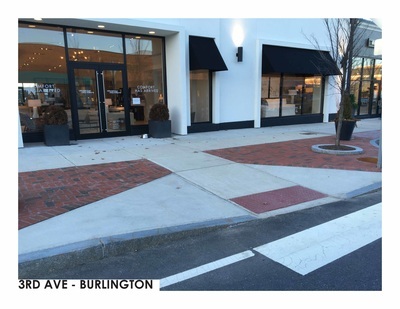 from becoming an ordinary lifestyle strip mall. ​design movement brought to Lexington Center. 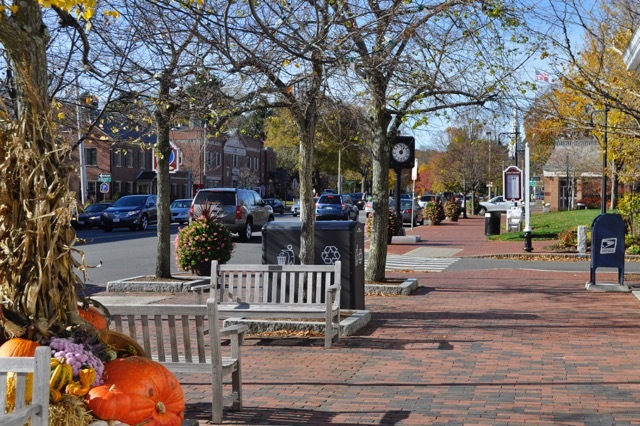 ​We already have the authentic charm that other New England Towns can only emulate. 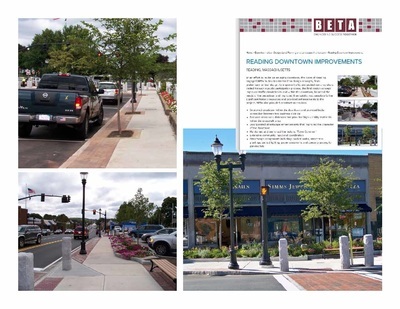 The Streetscape Project was created to fund a limited set of traffic and safety objectives and lacks the comprehensive mission and community-wide vision for an inspired center-solution. It proposes trashing the thoughtful and successful plan designed 50 years ago by local visionary Architects. Every single tree, bench, bike rack, granite planter and brick sidewalk will be removed and demolished to build the proposed Streetscape Project. ​We can design and install safe crosswalks, ramps and build 100% ADA compliant low-vibration brick sidewalks that last longer than concrete. 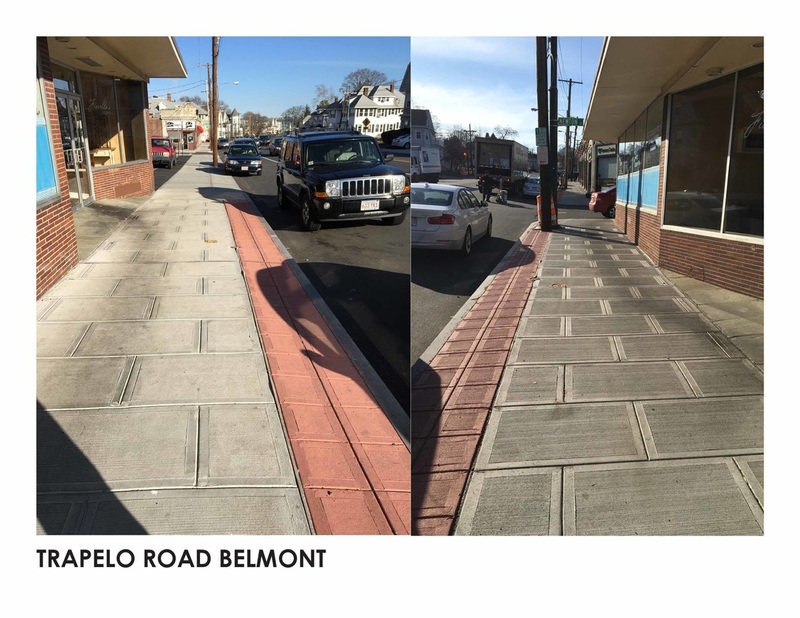 NEW ground breaking science has concluded that brick pavers equaled or exceeded concrete slabs in producing low-vibration ADA compliant surfaces.